Wives and Daughters (1865) Young Molly Gibson, raised by her widowed father, loses her way during a visit to the local aristocratic 'great house' of Lord and Lady Cumnor. She is discovered slumbering and put to bed in Mrs. Kirkpatrick's room and stranded in the mansion. Seven years later, Molly is an attractive if unworldly young woman, arousing the interest of one of her father's apprentices. Her father sends her away as a result. Her father remarries and she has a new step-sister - a worldly and troubling girl. The narrative then traces the lives of the two as they grow into womanhood. 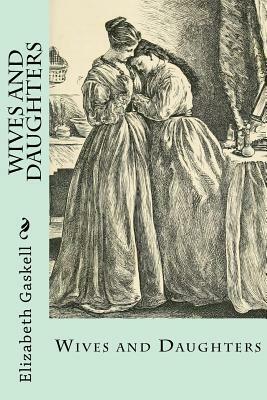 Readers should note that the last section of Wives and Daughters was not finished upon Elizabeth Gaskell's death and it is believed that Frederick Greenwood (1830-1909), a journalist and editor, completed the novel. About The Author Elizabeth Cleghorn Gaskell (1810 -1865), often referred to as Mrs Gaskell, was a British novelist and short story writer during the Victorian era. She was also the first to write a biography of Charlotte Bronte, The Life of Charlotte Bronte, which was published in 1857. In North and South, Gaskell creates the city of Milton, nicknamed Cottonopolis, where she lived as the wife of a Unitarian pastor. She saw religious dissenters and social reformers, who decried the abject poverty of this industrial region. She described the poor in her writings, showing compassion for the oppressed.